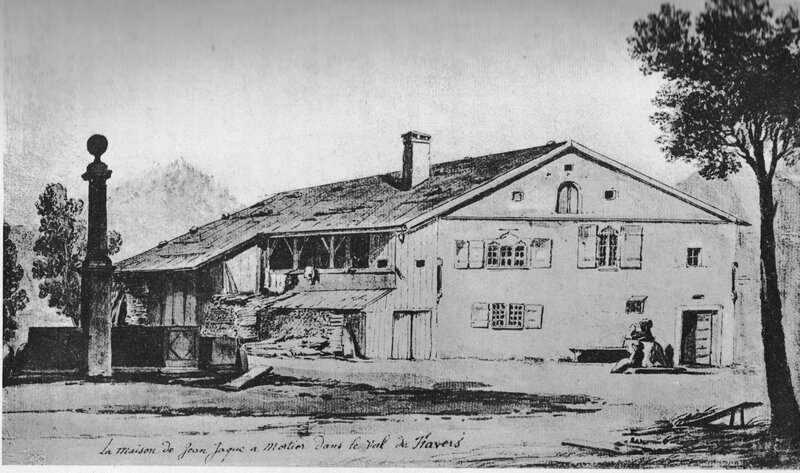 Jean-Jacques Rousseau was born on 28th June 1712 in Geneva, where he spent the first sixteen years of his life. Although his relationship with his native city was sometimes tumultuous, it nonetheless had a strong influence on his work. The City of Geneva has therefore launched a major celebration to mark the tercentenary of the birth of Rousseau : 2012 Rousseau for All. This project, whose aim is to recall the importance of the Genevan heritage in Rousseau’s life and work, naturally forms part of a long sequence of commemorative events that have always honoured the memory of our most illustrious citizen. The Department of Culture of the City of Geneva has brought together the synergies and skills of highly diverse cultural and scientific actors. Since its creation in 2006, the 2012 Rousseau for All project has grown, ramified and become more structured. We are pleased to present its outlines here, as well as recent developments. The 2012 Rousseau for All project has a sound scientific framework, structured around two central conferences and several study days. 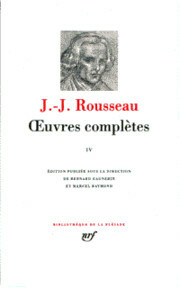 In addition, and to complement these activities, there will also be a range of publications, including the Complete Works of Rousseau, a catalogue raisonné of Rousseau’s Genevan manuscripts, a major work on Geneva in Rousseau’s day, a calendar created by renowned graphic novelists from the city and, finally, several translations. The main event of 2012 will be without any doubt the world première, at the Grand Théâtre de Genève, of an opera about Jean-Jacques Rousseau. Numerous musical projects (classical concert, puppet opera, educational opera) will also be held throughout 2012. Several exhibitions will also see the light of day : « Mon Rousseau à moi » (« My Own Personal Rousseau »), to be displayed at the Salon du Livre 2012 (Book Fair), will be a kind of journey linking different stopping points that refer to a theme closely-related to the life or work of Rousseau. This exhibition is for people of all ages and backgrounds. Rousseau the musician, Rousseau the botanist, Rousseau and his tempestuous relations with Voltaire and his contemporaries, Rousseau and 18th century Genevan scholars, Rousseau and watch-making in Geneva, and Rousseau and international education : these are some of the themes that will be highlighted in the museums and libraries of the City of Geneva in an array of exhibitions, one of which will be organised in close partnership with the Martin Bodmer Foundation. The cinema is not to be outdone, as two feature films are planned, one adapted from The New Heloise, as well as a series of short films to be shown on several types of screens. Two plays, a grand costumed festival in the village of Dardagny and a multimedia spectacle combining screenings and live performance for the tercentenary celebrations on 28th June complete the festivities. Walking and nature also have a place of honour, with several thematic itineraries, an out of the ordinary garden and an audio-walk proposed by the singer Stephan Eicher. A vital interchange for any « Rousseauist » event and a bridge between the two sides of the city, the Ile Rousseau will be at the heart of the commemorations. In order to carry out appropriate improvements to it, a redevelopment and landscaping project is planned. 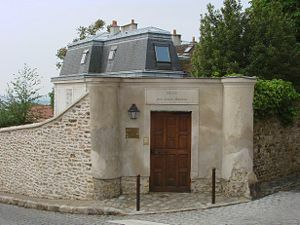 It is on the Ile Rousseau that the Tercentenary will be officially inaugurated on 15th January 2012. Throughout the year, the island will function as an information station for the commemorations and will house a durable contemporary work of art. In parallel, permanent signs will be installed at the entrance to the island and in all the places in the city linked to the memory of the philosopher. Rousseau enjoyed fame and honour, but also experienced exile, solitude and rejection. It therefore seemed only natural to take concrete steps, as part of 2012 Rousseau for All, to remove obstacles preventing access to culture. « Cultural Activities, Culture and Disability » is an ambitious, participatory project developed by the City of Geneva’s Department of Culture in partnership with the Cantonal Service for Culture, the Franco-Genevan Regional Committee (CRFG) and Pro Helvetia, the Swiss foundation for culture, which is providing its financial and promotional support. When 2012 Rousseau for All was first set up, it was a question of making Geneva the central pivot of the international events which will certainly be organized throughout the world. The Geneva team of Rousseau 2012 works in close partnership with the Steering Committee of the Région Rhône-Alpes and with numerous other French partners, including the Conseil général de l’Oise and the Mairie de Montmorency, as well as with many heritage and cultural institutions including the Centre des Monuments nationaux, the Bibliothèque municipale de Lyon, the Musée de la Révolution française in Vizille, the Musée Jean-Jacques Rousseau in Montmorency, the Parc Jean-Jacques Rousseau in Ermenonville and of course the Musée des Charmettes in Chambéry. In addition, close cooperation with UNESCO could lead to the collections of printed work and manuscripts by Rousseau held in French-speaking Switzerland being included in the Memory of the World Register. Neuchâtel, Môtiers-Travers, Chambéry, Annecyand other typically « Rousseauist » places will also be invited to play an integral part in the commemorations. Several Italian partners have expressed their interest in the 2012 celebrations, including Rome, Turin and Venice. Lastly, Rousseau will travel beyond the boundaries of Europe with events planned notably in Bohicon (Benin) and in Sao Paolo.